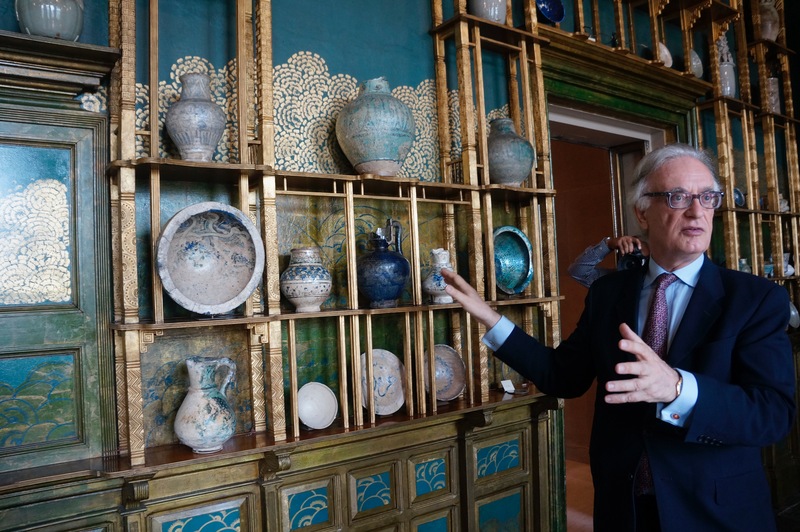 Freer Gallery of Art Director Julian Raby discusses renovations. The Gallery re-opens Oct. 14. Those into Asian and Middle Eastern art know all about the currently-closed Freer Gallery of Art and its partner, the Arthur M. Sackler Gallery in Washington D.C.
During a tour of the Freer’s renovations, Director Julian Raby spoke about many changes for the classic Italian-Renaissance building on the National Mall. The museum will re-open with a bang on October 14. One of the Freer’s new directions is the use of the museum’s display space. Instead of long-standing exhibits, “every single one of these galleries…will be treated like a mini-exhibition; what’s the big idea, what’s the hook title, what are the highlight objects, and how do we talk about these objects for a relevance for today,” says Raby. The original terrazzo floors from 1923 have been “revealed” and cleaned. Raby said, “The (Eugene and Agnes E.) Meyer auditorium is historical… and (has gone) from analog age” to the “digital age. We can simulcast. We can beam into other institutions.” He has kept the original seats to “insure the almost perfect sound quality” of the auditorium the same. Some members of the Freer have already moved back in. “The conservation department is now in their digs,” said Raby as a woman with a cart holding a mother-of-pearl Asian box moved through the crowd. While the walls are repainted, the new slate baseboards are still missing since they are “stuck in Customs,” says Raby. It’s is not only the galleries that will be overhauled. Lee Glazer, Associate Curator of American Art, spoke about the “most popular, the most visited” gallery. 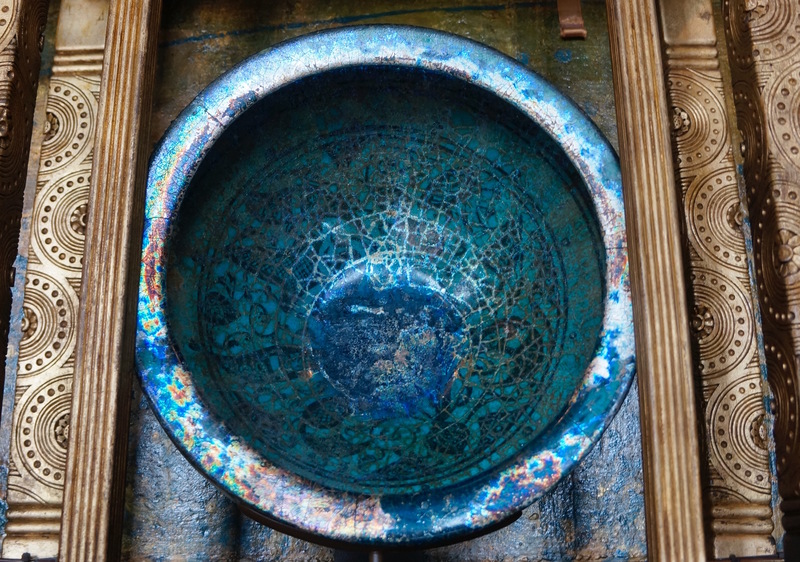 Interestingly enough, in light of contemporary events, some of the antique ceramics comes from Raqqa in Syria, the self-styled capital of the Islamic State. Glazer also spoke of a new acquisition drive to buy more blue and white porcelain of the period to “recreate the chock-a-block massing of the Victorian original” display. If they can’t get contemporary pieces, they may do “3-d” clones of objects in the collection, in the hope that someone might donate an original to replace the clone. Raby joked it was part of the “adopt a pot” campaign. Two small bronze statures, by August Saint-Gaudens, better known from the monument to the Civil War’s 54th Regiment in Boston and the Henry Adams’ funeral homage to his wife, will be reinstalled in the courtyard after being cleaned using new techniques. Using dry ice blasting to take off the aged wax coatings, Labor Supported by Science and Art, and its partner, Law Supported by Power and Love, will be re-coated with thin layers of wax, gently buffed, and then re-installed. 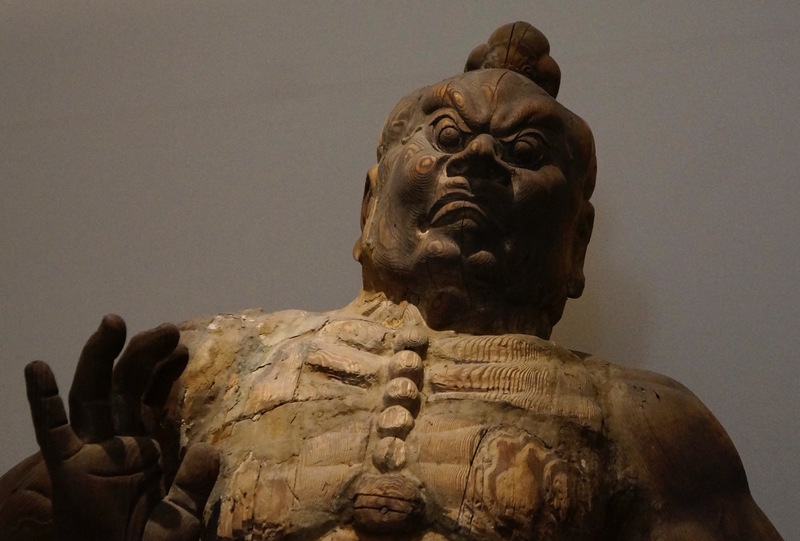 This entry was posted in Asian art, Freer Gallery of Art, Sackler Museum, Uncategorized and tagged Freer Gallery of Art, Sacker Museum. Bookmark the permalink.